Louise Moore is one of Harley Street's most sort after practitioners, recognised as one of the UK’s most successful Advanced Clinical Hypnotherapists, accredited with the GHR, director and lead tutor with Life Matters Hypnotherapy Training College, accredited with the GHSC and ASIIP. 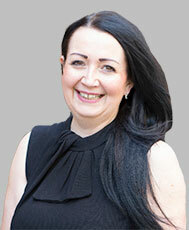 She is the founder of ‘Life Matters Clinic‘ ’Addiction Recovery Clinic', and the 'Complete Health & Wellbeing Company’. Her career spans over 25 years, partnering with our Harley Street clinic for 8 years, her qualifications include, Psychotherapy, NLP, Havening Techniques and Nutrition. Louise’s work is highly regarded with a global clientele including well know celebrities, corporate executives, families and children. Taking referrals from medical professionals, her work is often written about in the media, from her revolutionary anxiety treatment to her highly successful weight loss programmes, featured on Chanel 5's TV series ‘The big body squad’. She is passionate about health and wellbeing, working with hundreds of clients each year in her practice, teaching them how to harness the power of their subconscious minds to unlock their true potential. Free 15 min consultations available with Louise via phone or Skype to have all your questions answered; learn more about hypnotherapy and how she can help you overcome your current challenges. Alternatively you can email or text your enquiry. Louise also sees clients for many other issues. Please enquire for further details.